Caitlyn attended Reading Area Community College after high school then transferred to Temple University where she earned her bachelor’s degree in psychology. She volunteered at a charter school during her time at Temple and so enjoyed helping children improve their reading skills that she was drawn to education as a career. Since then she has worked with children and adults of various abilities in one on one and group settings. Caitlyn enjoys cooking, swimming, hiking and spending time with family and friends. She also has seven nieces and nephews who keep her young and busy! Contact Caitlyn Adams at caitlyn.adams@sevengen.org. Debra resides in the Borough of Macungie. She attended Wilson College studying Marketing Management. She then worked for the East Penn School District for several years working as a Staff Assistant while working for the Nutrition Food Service for 25 plus years. She also worked for First Impressions Daycare for 2 years before moving onto Rodale Child Care Center for another 5.5 years. This is where she was introduced to Seven Generations and fell in love with this school. She was very graciously introduced by two staff members, so when she learned how involved Seven Generations was with the environment she knew their educational methods would be equally if not more supportive and dedicated. Mrs. Depue has a recent interest in camping with her new travel trailer. She and her husband just started last year and don’t plan on slowing down, they have so much fun doing things. She also loves to garden. She recently got a dog, Kuda, and her favorite part of the day is hanging out with him. Contact Debra at debra.depue@sevengen.org. Kyle grew up and currently resides in Bethlehem, Pennsylvania. After graduating high school he completed some coursework at Penn State Berks and Harrisburg campuses before putting my education temporarily on hold and working in a variety of different jobs. Helping others is such gratifying work. he was drawn to Seven Gen for the opportunity to be a positive role model, influence the children, and hopefully teach them something along the way. Working with a team of educators who all share those desires has been an incredible experience. After work, he looks forward to sitting down with his cat and reading a book to unwind. He is an unwavering Philadelphia Eagles and Phillies fan. He loves turning up the volume and singing his heart out on any drive, no matter the distance. Finally, he cherishes the time he gets to spend with his family. Contact Kyle at kyle.klinger@sevengen.org. Danielle graduated from Gwynedd-Mercy College in 2009 with a BS in elementary and special education. 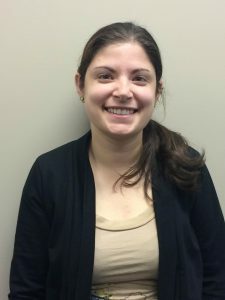 She worked for two years as an instructional assistant in a learning support classroom and as an Extended School Year teacher, then joined our staff in fall 2011. 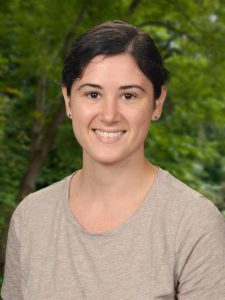 She lives in her hometown of Sellersville, where she enjoys reading, taking pictures and swimming, as well as spending time with friends and family. She is also a member of a choir and has had the privilege of traveling with them to perform in places like Ireland and Alaska. Contact Danielle McConaghy at danielle.mcconaghy@sevengen.org. Teaching at Seven Generations has been a great experience so far. I feel extremely lucky to be working in a school with such a great sense of community. It’s evident that the needs of the students come first. 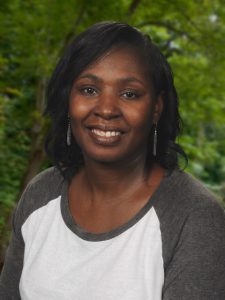 Dedra has worked at Wise Beginning Daycare Center, as a Licensed Beautician, as a Special Education Paraprofessional at Easton Academy, and as a sixth grade Special Education Assistant. She was drawn to education by a desire to help, to give back and to be a positive role model for children. In her free time, she loves to shop, spend time with her family, do arts and crafts, and make others feel beautiful through her work as a beautician. Contact Dedra Parsons at dedra.parsons@sevengen.org. Originally from Charlottesville, Virginia, I have lived in and around the Lehigh Valley since 2012. I currently live in Hellertown, Pa and love its small-town feel. In May 2016 I graduated with a M. Ed in Special Education from Lehigh University. While pursuing my Masters, I simultaneously worked at Centennial School of Lehigh University as a Teacher’s Associate in the Middle School Program. Centennial School serves children and youth with educational disabilities, including emotional disturbance and autism. During my time there, I taught diverse groups of students with ADHD, autism, learning disabilities, intellectual disabilities, speech impairments, and noncompliant behavior. After graduation from Lehigh University, I worked for a year as a Special Education teacher at Upper Perkiomen Middle School. These teaching positions provided me with extensive experience in special education, curriculum development, behavior management, cooperative teaching, and technology integration. While my short time at Upper Perkiomen Middle School served to strengthen my ability to meet the needs of all students, whether in a general education or special education setting, I desired to work within an educational setting that was more able to design creative instruction to meet the needs of diverse students. The field of Special Education continues to be my passion. Working within a community of students with such diverse and challenging needs has made me confident in my ability to meet the individual instructional and emotional needs of every exceptional child. I have had the opportunity to experience the immense impact creative differentiation can have on the emotional and academic evolution of exceptional children. Additionally, I have directly experienced the passion, empathy, dedication, and selflessness required to reach each and every child. Seven Gen embodies everything that supports students as they reach their full potential. The teachers create a family environment that supports and nurtures children as they develop their own passions and interests. The curriculum at Seven Generation allows students to work in a project-based, hands-on environment that inspires students to drive their own education. Contact Kelly at kelly.paxton@sevengen.org. Beverly joined Seven Generations after spending 7 years in the public schools in both the Lifeskills and MDS classrooms. A graduate of Emmaus High School & Lehigh County Vo-Tech, Beverly is also a Licensed Cosmetologist and has a Para-educator Certificate of Competency. Born in Allentown and currently resides n Pennsburg. What drew Beverly to Seven Gen? The desire to be part of a team that is dedicated to contributing to the educational needs of children. Embracing the children’s diverse personalities and assisting in achieving their highest potential of personal growth. When not at Seven Gen, Beverly enjoys spending time with her husband on Ocracoke Island, N.C., Fishing, gardening, walks, outdoor activities, cooking, and her Siamese cats. Beverly also loves being a Grandmother! Contact Beverly at beverly.schantz-ayers@sevengen.org. Mrs. Andrea Tone is originally from Hillsborough, NJ, Andrea now lives in Easton with her husband, puppy, and baby Tone to come this Thanksgiving. 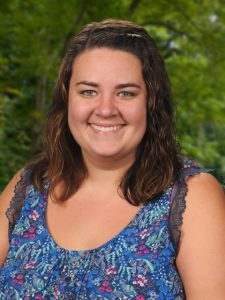 Completing her undergraduate degree at Kutztown University, Andrea studied Special Education, receiving certifications in special education, elementary education, and a minor in music. 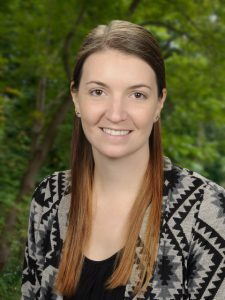 She also recently completed her masters in Curriculum and Instruction from Gannon University. Prior to Seven Gen, Andrea was a job coach, preschool teacher, and autistic support teacher. Growing up in a family of teachers, Andrea knew that she wanted to be a teacher from a young age. Andrea was drawn to Seven Gen originally for the EIC Model and integration. After working at Seven Gen since October 2016, Andrea has learned that Seven Gen is a warm environment the nurtures the learning of every child through hands-on learning. When she isn’t at school, Andrea enjoys taking her puppy, Lacey, on walks, trying new restaurants, going to football games, and attending marching band competitions. Kerianne Veltri lives in Easton, PA with her wife, son, and two cats. She has a M Ed in Reading from Kutztown and a BS in Elementary Education and Special Education from Bloomsburg. She started teaching in Tamaqua, but has worked at Seven Gen for most of her teaching career. She loves the community feel Seven Gen has. It’s a great place to learn, even as a teacher. We are always sharing ideas and learning from each other. She is proud of what the special education program has grown to be. We keep exploring new ways to implement an effective inclusive program and love watching students thrive when they have the opportunity to learn alongside their peers. Kerianne enjoys spending time with her wife and son. They love getting outside for walks and fresh air and love a good movie night. Contact Kerianne at kerianne.veltri@sevengen.org. My first position as a LTS paraprofessional gave me the opportunity to work with grades 1-5, and I was able to get to know a lot of the students and staff. I was grateful to continue as a One to One Paraprofessional and now as Learning Support Teacher. Everyone at the school has been so welcoming and helpful. It’s great to work at a school that truly values inclusion. Ms. Unger resides in North Whitehall. She worked at a daycare Whitehall for 3 years before making the big leap to being a para at seven gen. She states “Seven Gen is a charter school like no other. The way this school goes out of their way to help the earth and get their children involved and active is a beautiful thing. It’s nice to see that they want to truly make a difference. As soon as I found out what seven gen is about I knew I wanted to be a part of it.” Her hobbies and interests are hiking, camping, and horseback riding. She loves to set up her hammock over a mountain ledge with her dog Luna and enjoy the fresh air. Contact Cecily at cecily.unger@sevengen.org.